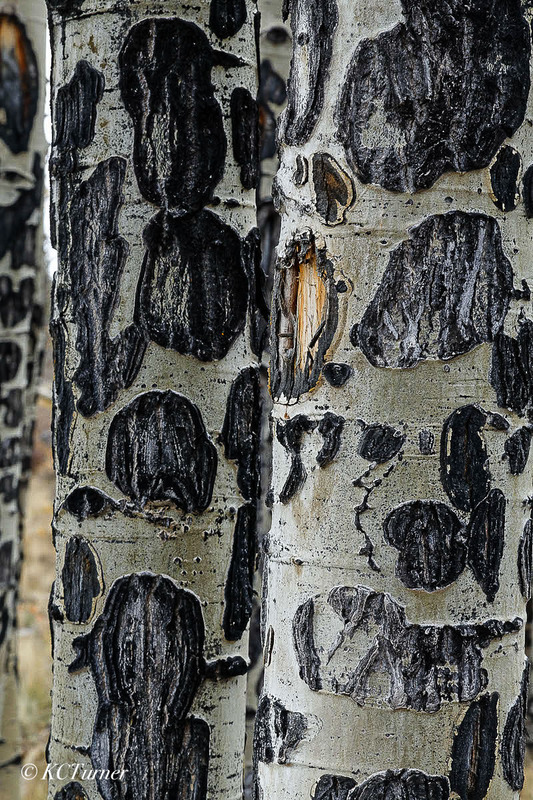 Close examination of Colorado's vast groves of Aspens most always reveal fresh "sign" made by Elk chewing at the bark and letting hunters note that game may be in the area. It also lends itself to some colorful treescape photography. Photo © copyright by K.C. Turner.